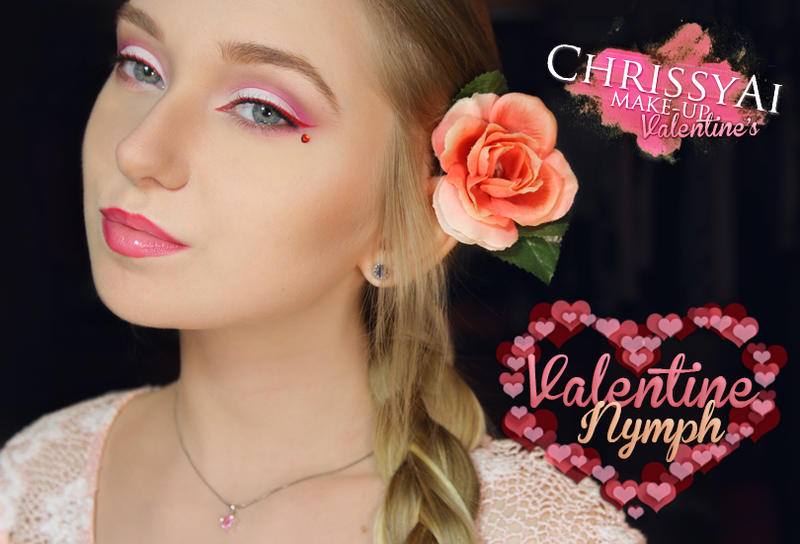 I have a makeup look for you, as I'm sure you can tell, that is Valentine's Day inspired. I realize it's a little colorful for actual wear out on a date but if your plans are sitting at home stuffing your face with food, like me, it's perfect! I used J. Cat Beauty's Big Eye Pencil in Marshmallow as a base. I then applied Jordana's Eyebrow Powder in Light Ash Brown in my crease and on my lower lash line. I used Sugarpill's Tako as my lid color and Dollipop in my crease and lower lash. 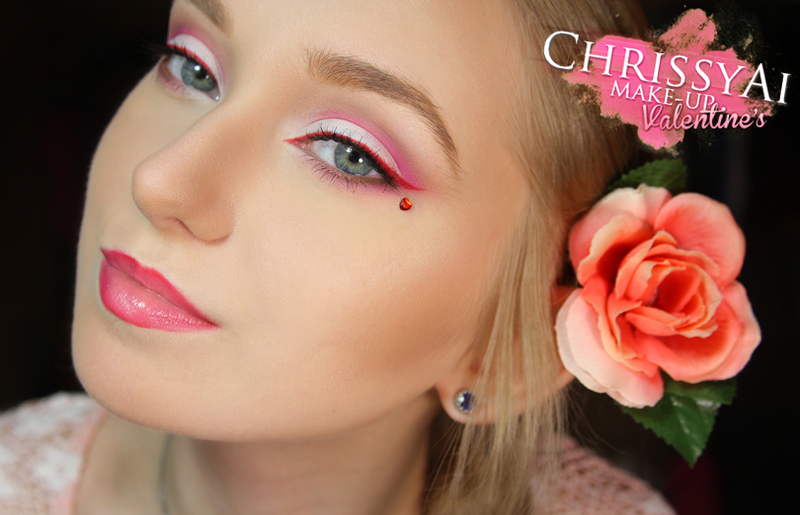 I also used Love+ as a liner with my Darling Girl Cosmetics Superstar Serum. 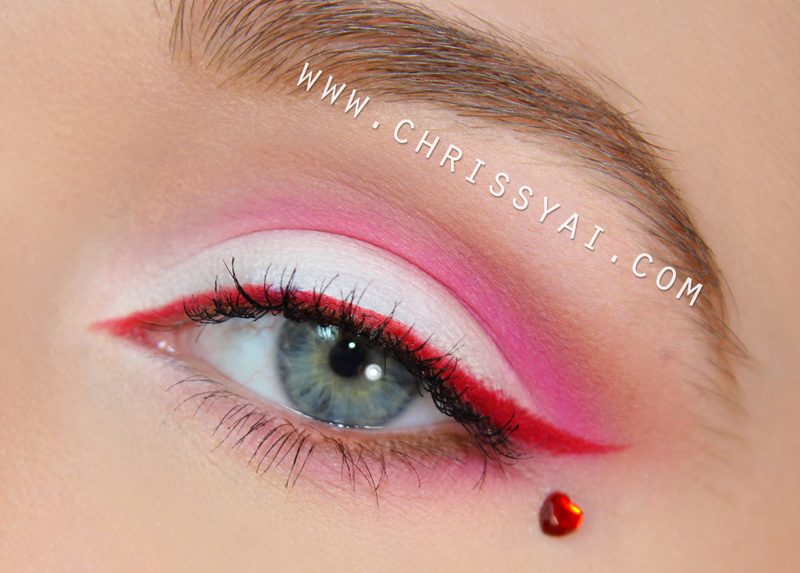 I applied mascara and then a heart shaped rhinestone with Ardell lash glue, and that's it! 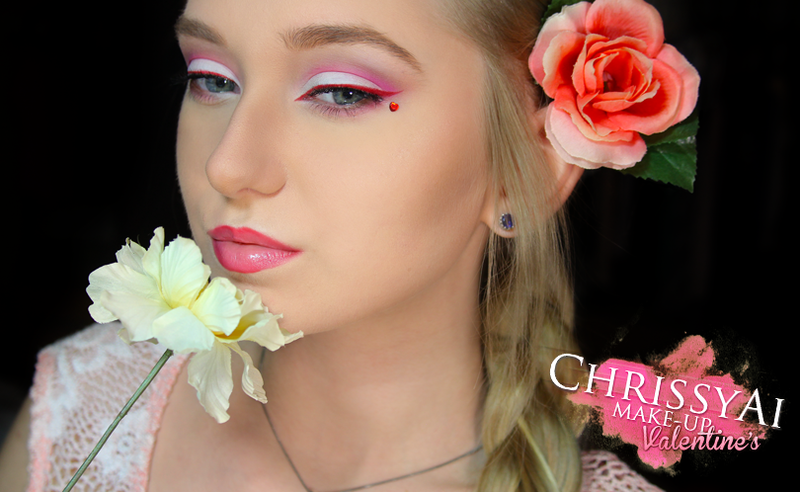 Will you be keeping it natural this Valentine's Day or putting some color into your look? Or better yet, are you ready for The Walking Dead to pick back up?! follow me if you like.. WOW!!!!! Such fabulous make-up!!!! You are very beautiful! Nymph!! !